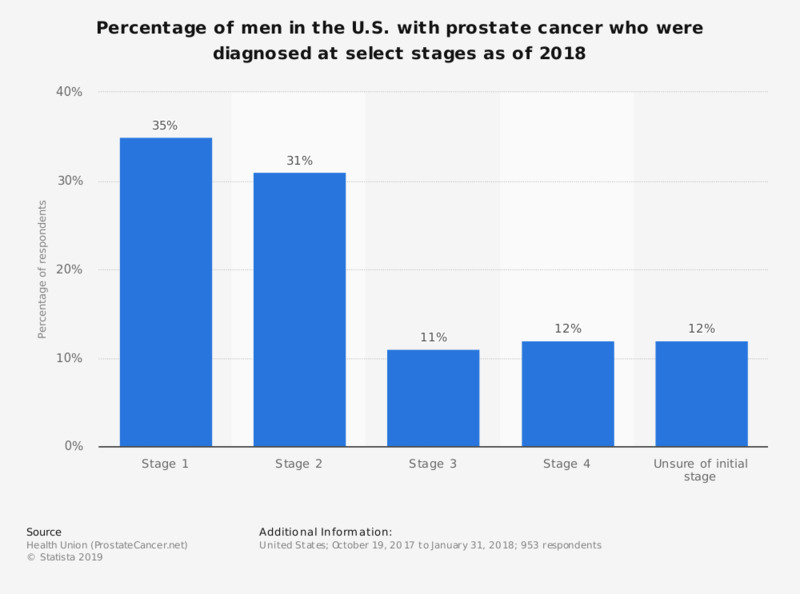 This statistic shows the percentage of men in the U.S. with prostate cancer who were diagnosed at select stages as of 2018. It was found that 35 percent of surveyed men with prostate cancer were at stage 1 when they were diagnosed. Respondents included 928 men who had been diagnosed with prostate cancer and 25 caregivers of men living with prostate cancer. Were you given written information about the type of cancer you had?